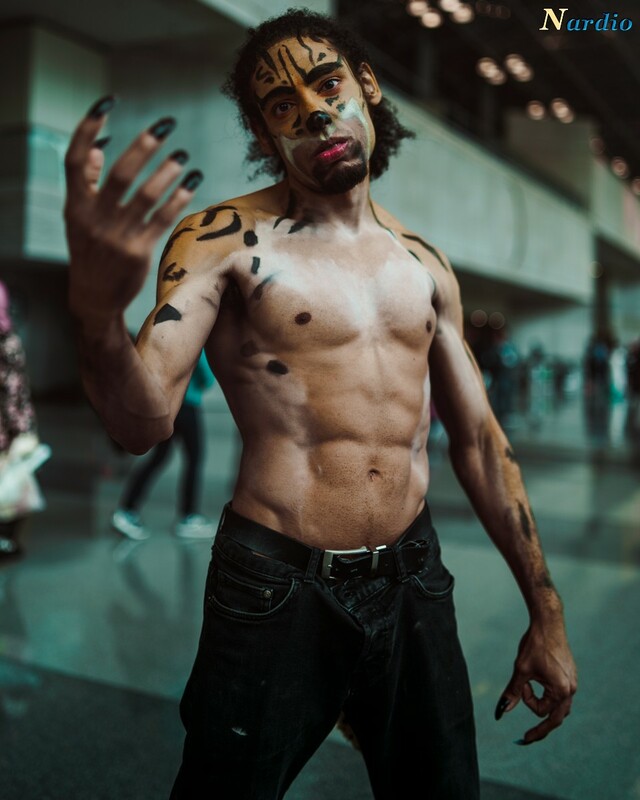 Rob Lucci Cosplay at Anime NYC! I just had to share this fun picture from Anime NYC. This guy was full of positive energy and really fun to shoot. Check out this fun One Piece Rob Lucci Cosplay. This guy was really nice and had a great body that worked great with the cosplay. I showed him how to flex to show it off just right for the picture and bam, this awesome shot was born.